In an unexpectedly positive move, the Senate has actually voted to resurrect net neutrality by utilizing the Congressional Review Act, a system that allows senators for force a vote on recently passed regulations simply by getting a certain amount of signatures. 52 members of the Senate voted in favor of moving to reinstate Net Neutrality, which was instituted during the Obama administration and is designed to (among other things) prevent internet service providers from throttling connections to specific websites or charging extra for certain services. 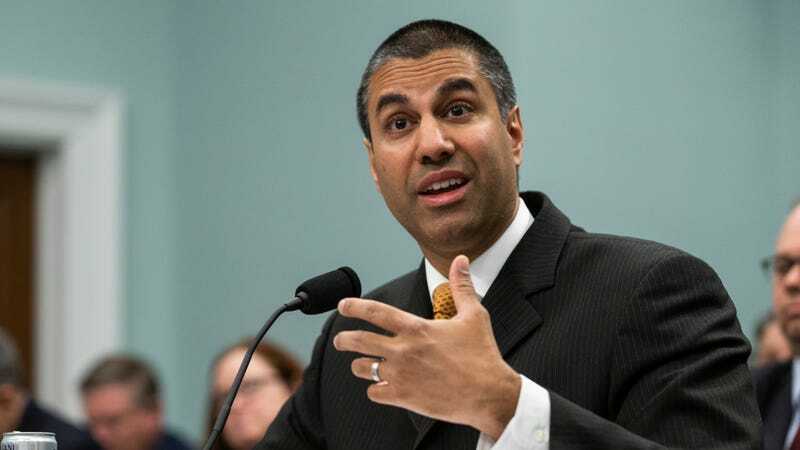 The plan to use the CRA to force a vote on net neutrality was first pitched back in January, and at the time we noted that it seemed very unlikely that it would manage to pass the Senate—making this one of the few times The A.V. Club has ever been wrong about something. Unfortunately, passing the Senate is only one of the three impossible challenges that net neutrality must face before being revived. Following the Senate vote, net neutrality must now move on to the House Of Representatives, which will only vote on it if supporters can collect signatures from a full majority of members—meaning, as The Verge points out, they’ll need the support of at least 22 Republicans. If that happens and the House votes in favor of net neutrality (a big if), it still has to face the most impossible challenge of the three impossible challenges: Donald Trump. There is absolutely no chance that Trump will agree to reinstate net neutrality, so there’s no reason for anyone to get their hopes up about this thing working out. It was an Obama-era policy that was good for people, which means Trump would rip it into tiny pieces and then eat the pieces on top of a well-done, ketchup-covered steak before he would ever consider approving it. Instead, The Verge suggests that this is all an attempt to force politicians to pick a side on net neutrality ahead of the midterms, which is probably a smart play even if it’s not particularly exciting.